I was looking yesterday at my trees and I saw on their branches the early signs of Spring. The little buds are starting to show and soon we’ll be able to see the green leaves on our trees again. 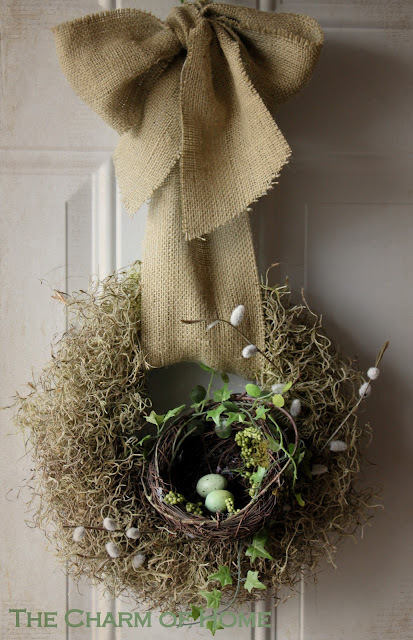 Last year to decorate my entryway I made this Spring Wreath with a bunch of yarn and some lace. 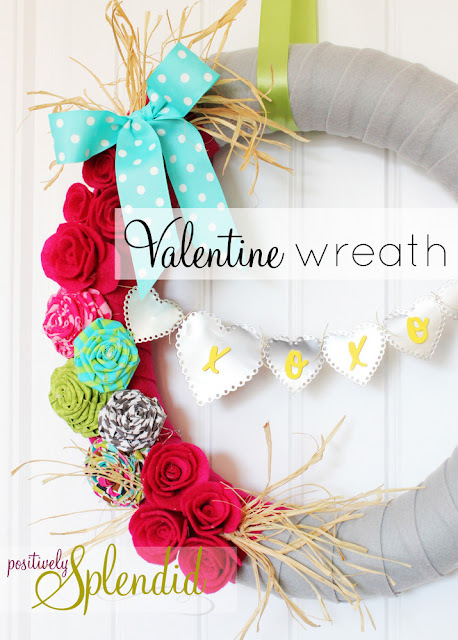 Let me show you today some other handmade wreaths that I have found around blog land. 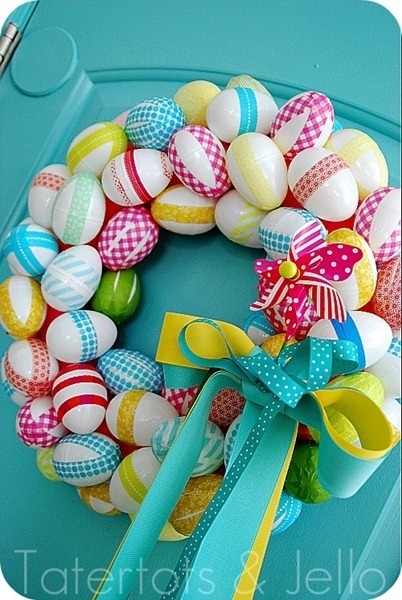 This Spring Wreath by How to Nest for Less is one of my favorite ones. Casapinka also did a great job! I adore the fabric choice and the little fabric bird is simply adorable. 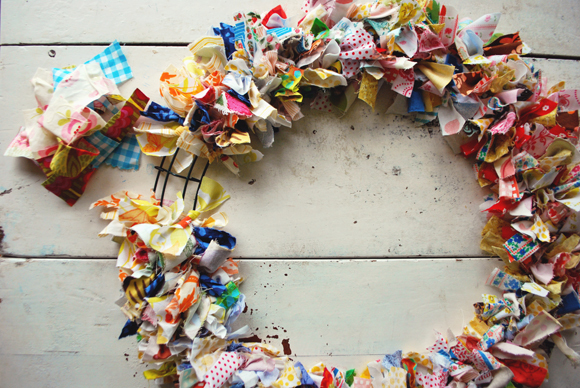 How fun is this wreath by my dear friend Jen from Tatertots and Jello? but I think it would work perfectly for Spring. You can see Amy’s tutorial here. 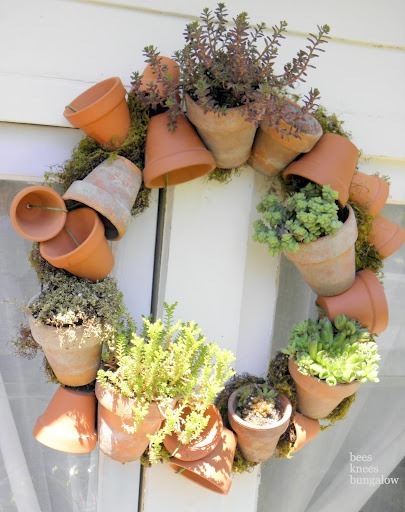 This next Spring wreath by Bees Knees Bungallow is so unique and perfect for the season. Don’t you think this next Spring Wreath by Classiclly Amber would be perfect for Easter? 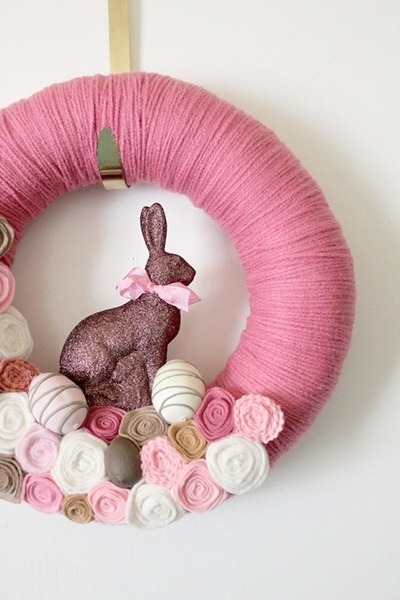 Talking about Easter what about this Spring Wreath from The Bakers Daughter? 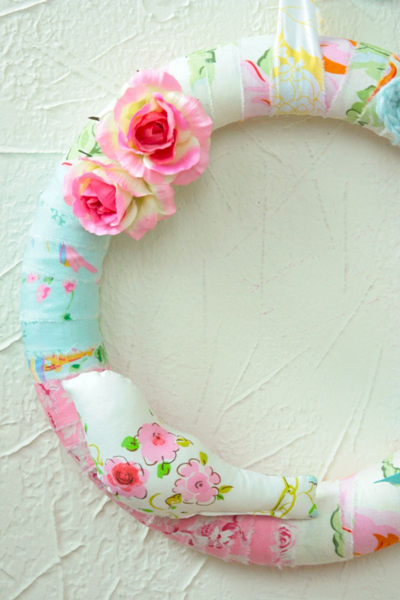 I love how Kiki and Company mixed and matched a bunch of fabrics for her Spring Wreath. Here is another adorable yarn Spring Wreath by The Creative Place. 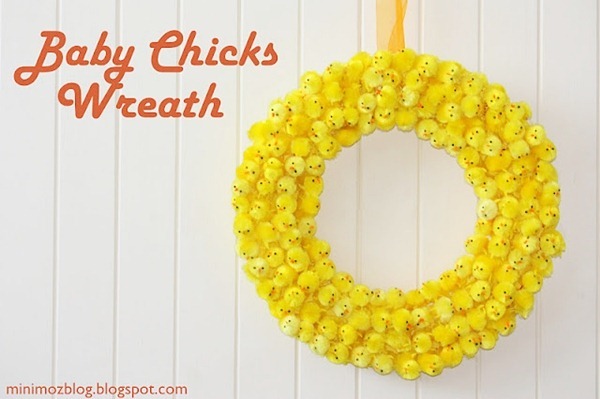 This baby Chicks Wreath by minimoz was too cute to pass. 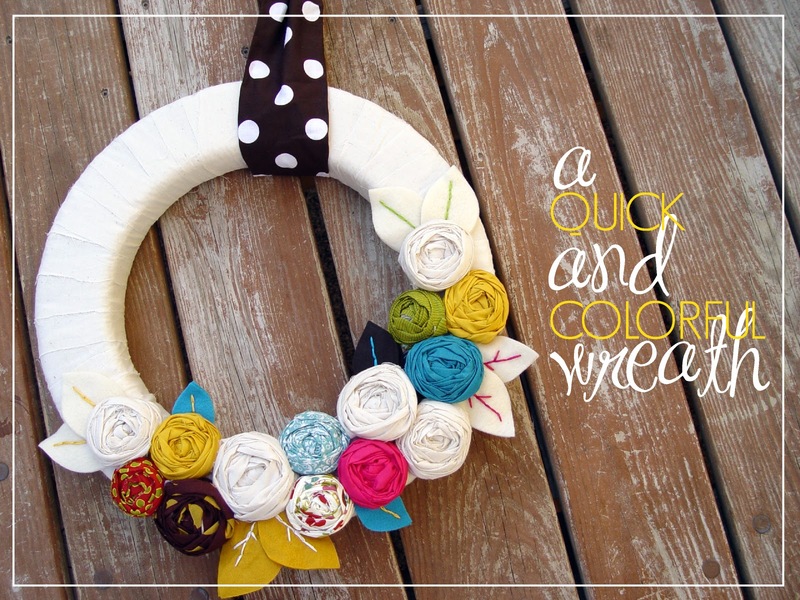 I love this fabric scrap Spring Wreath by The Art of Homemaking. 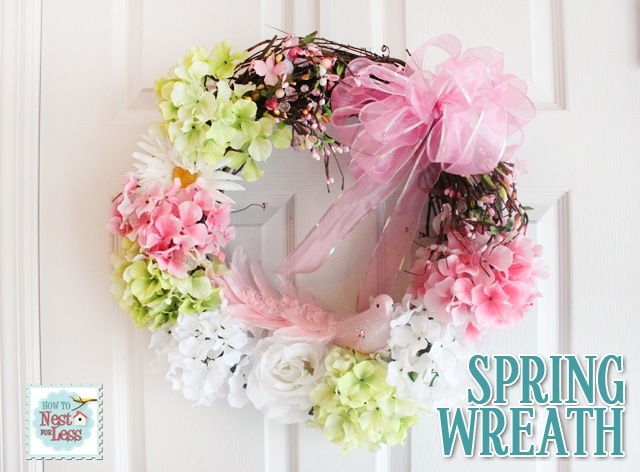 I love how bright and happy this Spring Wreath by A soft place to land is. You can even give it a little makeover later and use it for Summer. 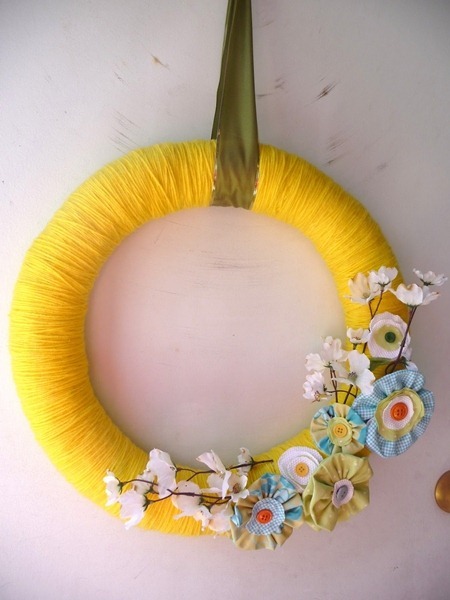 Here is another bright and cheerful yellow wreath. I really like how My little corner of the world added some colorful fabric flowers to it. and decorating for Easter and Spring. 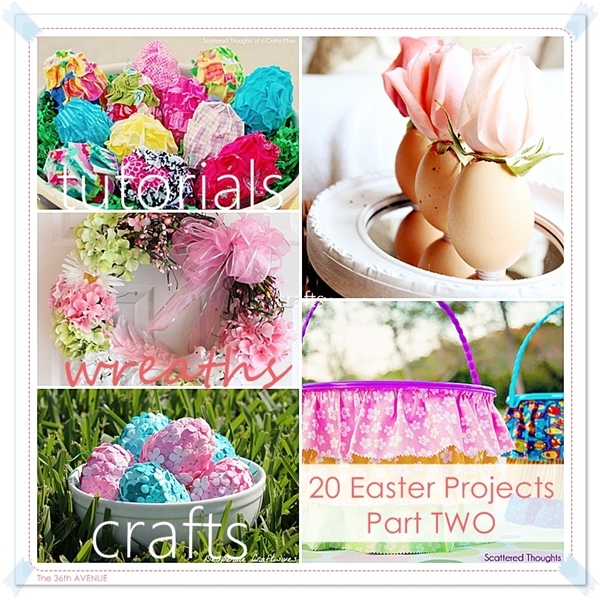 Make sure to also check out these amazing Spring Craft and Easter Projects. 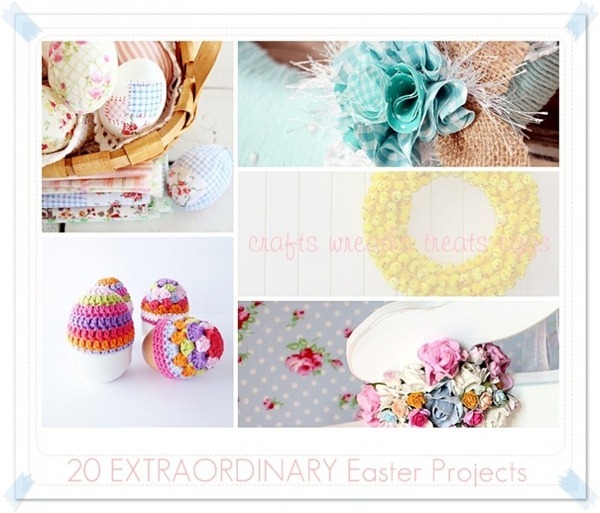 …and these sweet Spring Craft ideas. Wishing you all a… colorful day! 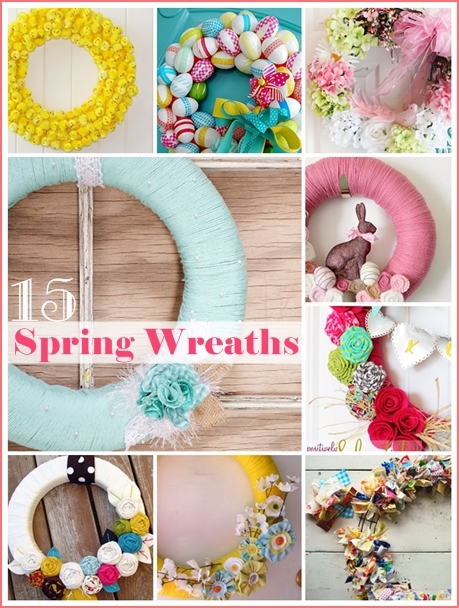 Aww, I remember when you first featured my spring wreath when I linked it up to your party two years ago… my goodness, has it really been that long?! Well a feature from you still has my heart going pitter-patter! Thank you sweetie!! You are so cute… Love you girl! Lots of cute ideas. I made a yarn wreath last year. I haven’t gotten it on the door yet but definitely ready for winter to be over and some spring weather.